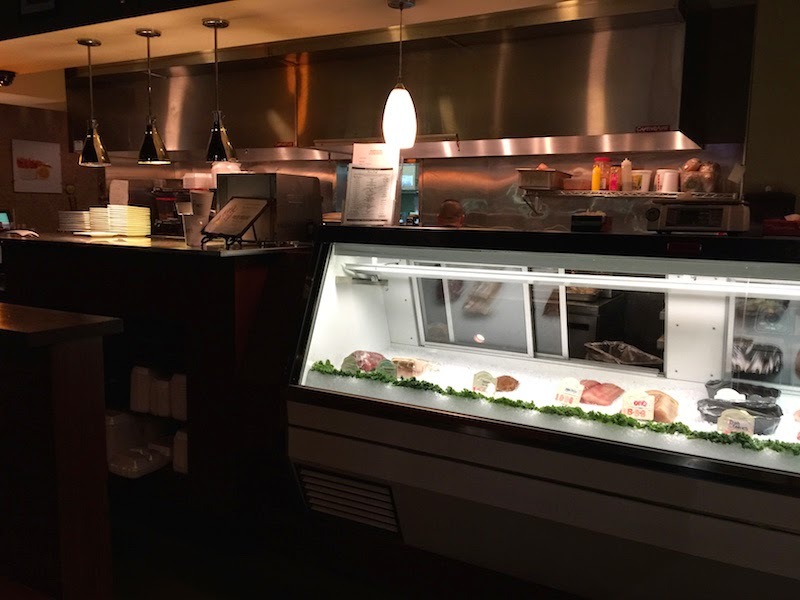 I was in town visiting friends and they suggested we try the fresh seafood at Fin's Market and Grill in Roseville, California (just outside of Sacramento). Read my full review with more pictures after the break. 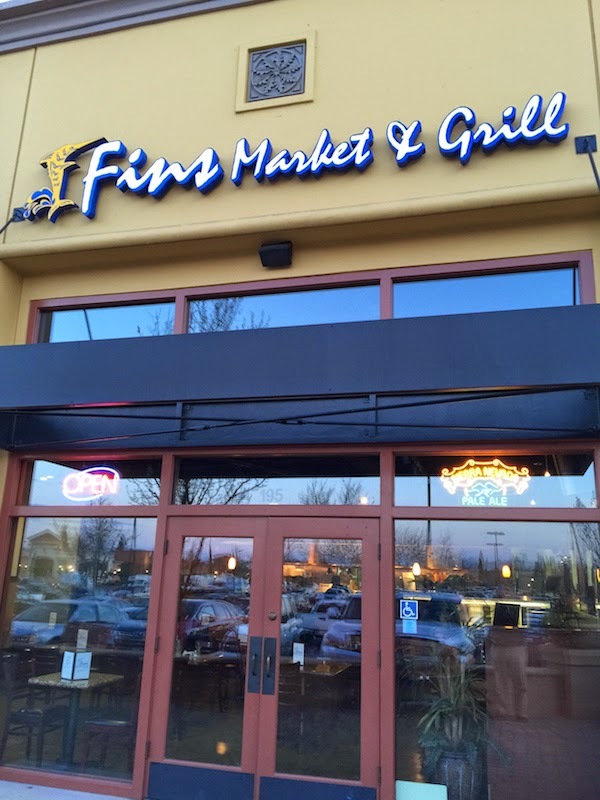 Fin's Market and Grill has several locations in Sacramento. The location in Roseville is large with plenty of seating. 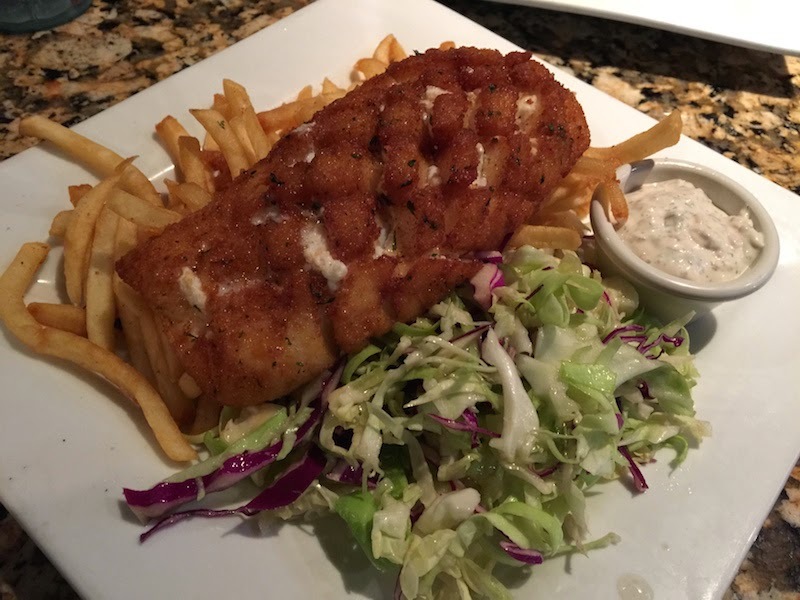 Fish and chips at Fin's Market and Grill in Roseville. 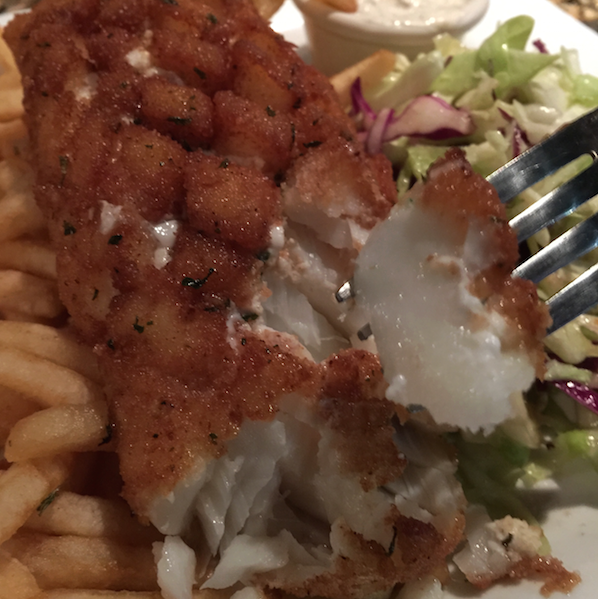 Notice how the Alaskan cod is scored, which made it easy to pick bites without cutting, and also created more surface area for frying. This was very good fish & chips. The prawn is under the cabbage along with cheddar cheese. 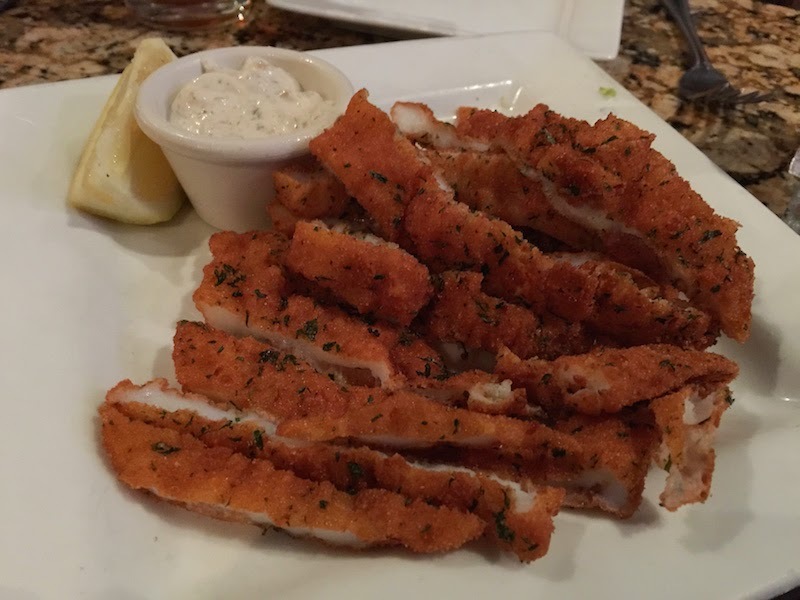 Fried calamari was very fresh. 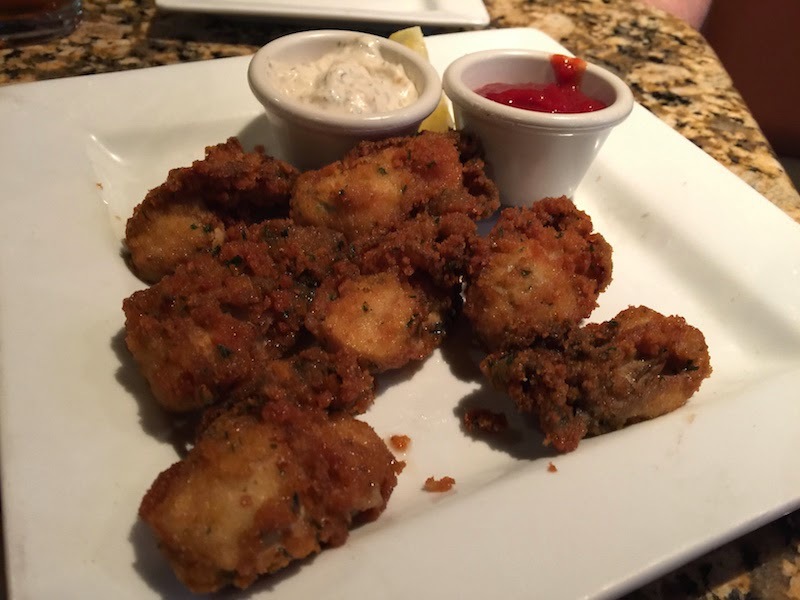 The fried oysters were not greasy, and fried just right (not overdone). These were very good. 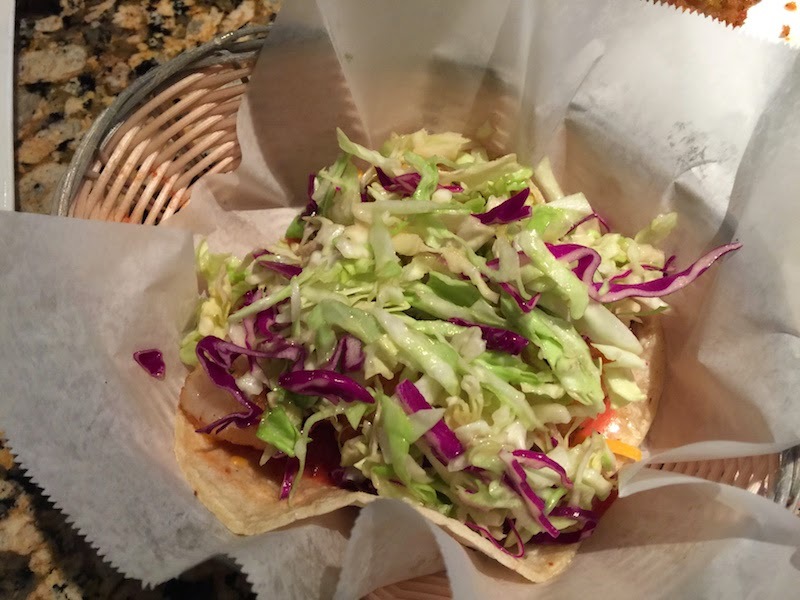 The prices were a little high for what I am used to, although I am spoiled after all the best fish & chips I ate in Portland, and the fish tacos at TJ Oyster Bar in San Diego.